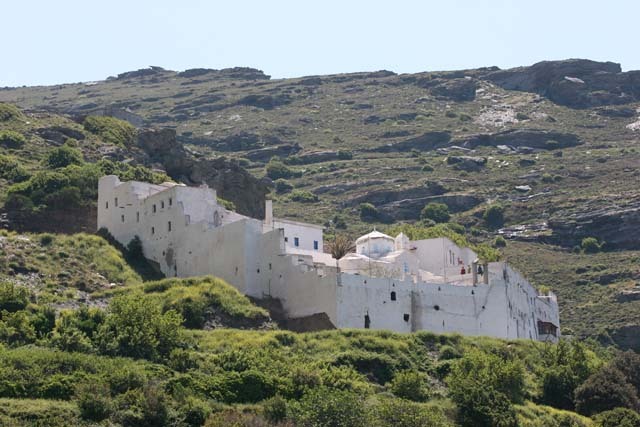 The center point of our pilgrimage will be our trip to the island of Andros, to venerate the holy cara (skull) of Saint Panteleimon and also to participate in the festive vigil of the newly found myrrh-streaming Saints of the Panachrantou. 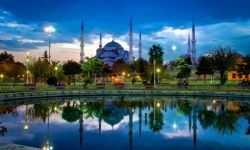 The following excursion can be modified to meet your desires and budget. We are able to arrange customized and tailor-made trips just for you based on your needs. 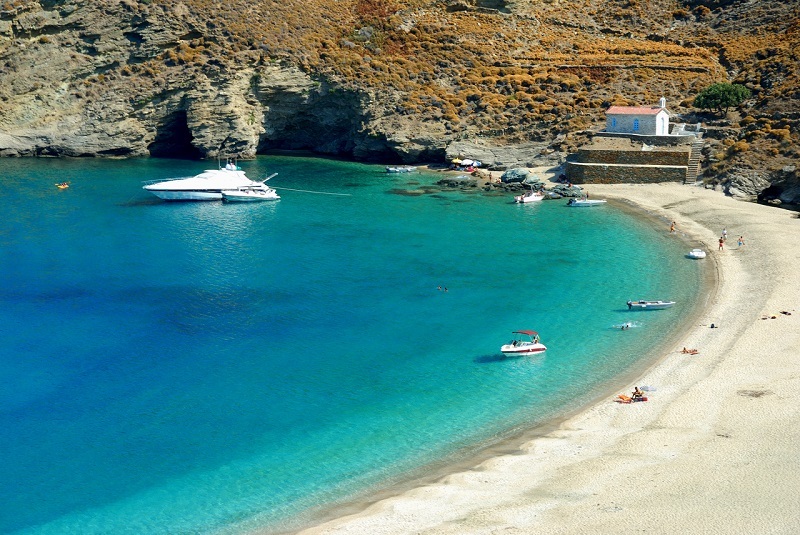 Depart for the island of Andros from the port of Rafina. 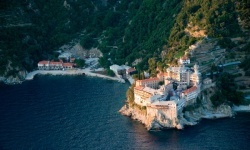 Upon our arrival, we will visit the monasteries of Saint Marina and Saint Nicholas. After our visit we will settle into our hotel. 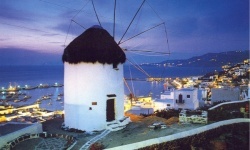 Later, we will walk to the old town of Andros and have dinner consisting of local specialties. After breakfast, we will continue touring the attractions of the island. 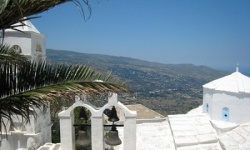 We will take a siesta and then in the early evening hours we will head for the Monastery of Panachrantou. 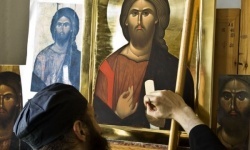 We will venerate the miraculous relics of Saint Panteleimon, and those who wish to stay can take part in a festive vigil celebrating and commemorating the newly found myrrh-streaming Saints of the monastery. Midnight dinner to follow at the monastery’s refectory. 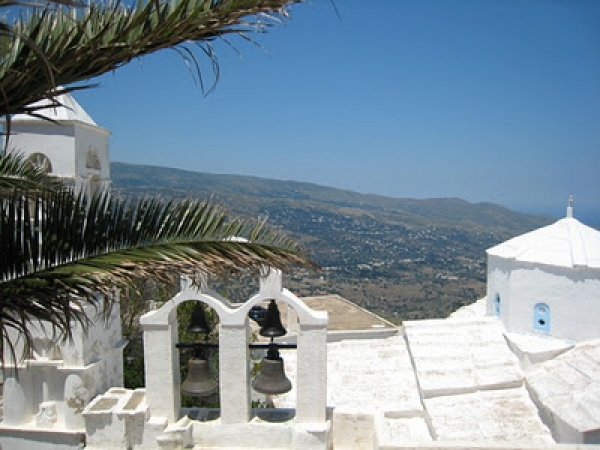 Depart from the island of Andros for Rafina. 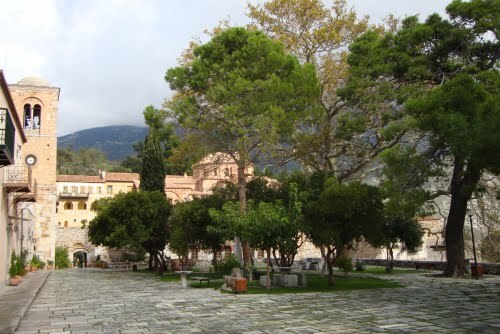 Upon our arrival in Athens, we will go straight to the monastery of Saint Ephraim the New (Nea Makri) and the Pantocrator Monastery of Penteli (Ntaou Penteli). 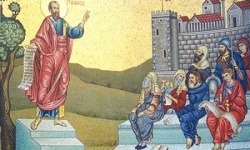 Alternative we can visit the cell of Saint Porfyrios in Milesi. Afterwards, we will check in to our hotel and have free time. Depart from Athens, on our way to Meteora, Central Greece, with a stop at Levadia to venerate the tomb of Saint Luke the Evangelist. Our next stop will be at the scenic Lake Plastira. Upon our arrival at Meteora, we will settle into our hotel rooms, have dinner and rest. After breakfast, we will be on our way to visit the spectacular ¨Monasteries in the Air¨. 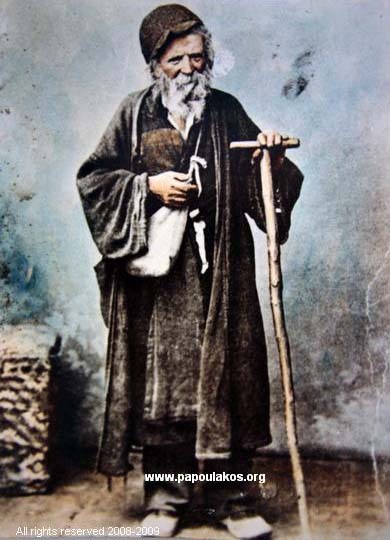 After Mount Athos, Meteora is the largest and most important monastic community in Greece, with a global radiance. In this unique landscape, one can visit the monasteries that were built on top of towering rocks and sheer cliffs in the 11th century A.D., when the first hermits sought solitude and peace in the openings of the high cliffs. We will tour the monasteries and their museums, and later we will return to our hotel and have some free time for a stroll or shopping. End of the day and rest. 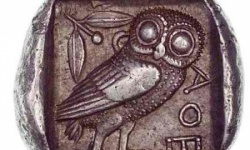 Return to Athens. 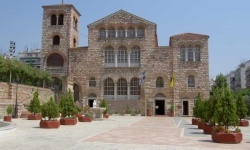 On our way back, we will stop at the renowned monastery of Saint Luke of Steri, the most important Byzantine monument of the 11th century, whose brilliant mosaics are the best in Greece. Upon arrival in Athens, we will settle into our hotel rooms. 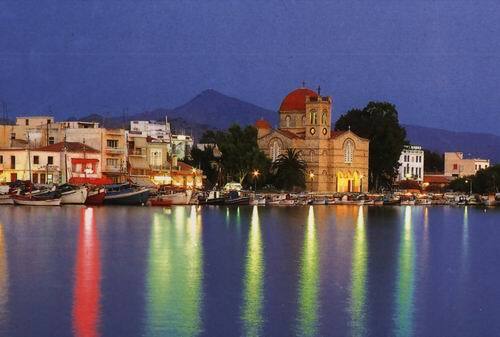 Day trip to Aegina. 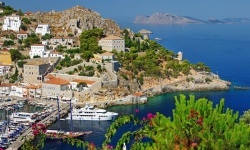 Depart for the island of Aegina, where we will visit the Monastery of the Holy Trinity and venerate the relics of a contemporary Saint, our beloved Saint Nektarios, and the monasteries of Panaghia Chrysoleontissa and Saint Menas. We will begin our tour of Athens, making our first stop at a monument of global cultural heritage—the rock of the Acropolis and the Parthenon. 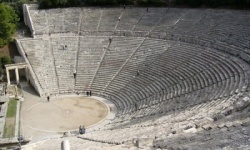 We will then walk down to the Herodion Theater and that of Dionysus. 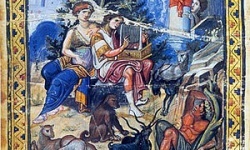 Afterwards, we will make a brief stop at the Areios Pagos, the ancient Athenian Court where Saint Paul first addressed the citizens of Athens, and will stroll through the Ancient Greco-Roman Forum and pass by the hill of Philopappou. 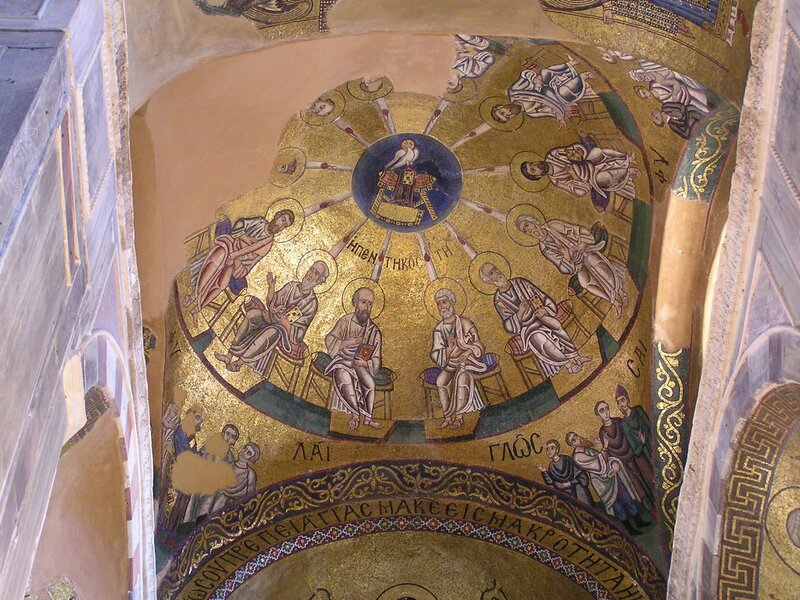 We will also visit the old Byzantine churches along the way, as well as the Cathedral of Athens, where the relics of a local Saint and protector of Athens, Philothei the Athenian. Finally,(optional) for those who wish to get an unforgettable panoramic picture of the sun setting over Athens, we encourage our visitors to climb up to the chapel of Saint George on top of Lycabettus Hill. Dinner and overnight. Святая Гора, Удел Богородицы, Акрополь Православия.